All countries in possession of nuclear weapons should follow the example of Russia and the United States and start programs on arms reduction, declared Russia’s Foreign Minister. 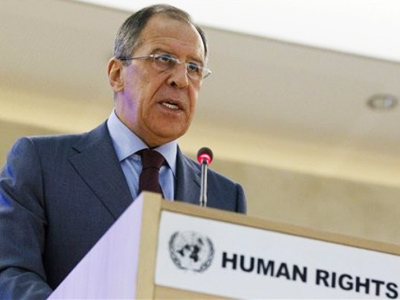 Speaking at the Geneva disarmament conference, Russian Foreign Minister Sergey Lavrov said that the recently signed new START treaty should serve as an example in international relations. 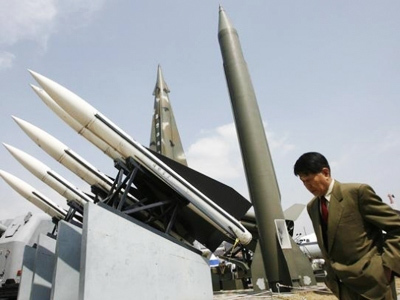 “The issue of all nuclear powers without exception joining the process of arms limitations and reduction is currently gaining more and more urgency. Considering the principles of equal rights, parity, equal and non-separable security envisaged by the Strategic Arms Reduction Treaty, it must serve as a “gold standard” for reaching agreements in the military-political dimension of international relations,” the Russian minister said. Sergey Lavrov also said that all countries must return all tactical nuclear weapons deployed abroad to their home states. 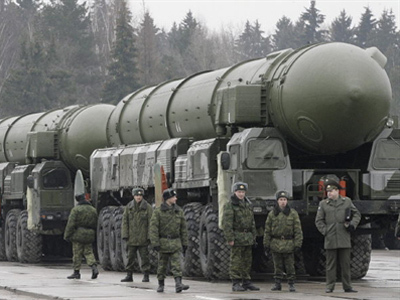 "The first step in solving this problem should be their removal from the current location, back to the state which possesses them and the destruction of their deployment infrastructure abroad," the Russian minister said. The official added that several particular questions still have to be resolved in order to move forward on the way to nuclear disarmament. He stressed that the reduction of nuclear warheads makes the issue of carriers more crucial. At the conference, Lavrov said that Moscow was ready to discuss in detail security guarantees for states that do not possess nuclear weapons, including the development of a special international treaty, or the establishment of a special commission within the disarmament conference. He also mentioned that a special treaty must be signed that would forbid the production of fission material for military purposes. At the same time, the Russian official stressed that such work must be done within the conference’s framework as this would guarantee the participation of all key players in the sphere. Lavrov also said that Russia was supporting the idea of attracting new participants to the conference, including non-government organizations. Moscow’s foreign minister said that the members of the non-proliferation treaty had to observe it to the highest standard as only this would allow them and other nations to successfully and safely develop the peaceful nuclear industry. He mentioned that Russia had already been using these standards when building the uranium enrichment facility under IAEA control.